In general, products meant to help the blind do so by transforming data that most of us receive visually into data that can be interpreted by other senses. There have been some truly brilliant inventions in the realm of gadgets meant to make life easier for the blind, and these are among the most inventive. 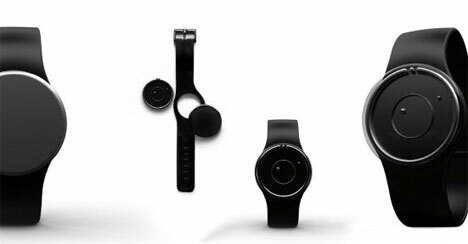 Braille wristwatches are one way to keep the blind informed of the time, but this minimalist watch is a much more stylish option. It’s a simple timepiece with two rotating faces. Each face has a small nub on it: the outer ring’s nub position indicates the hour while the inner face indicates the minute. A small gap in the material just outside of the outer face indicates the 12 o’clock position for reference. Pouring beverages can be somewhat of a challenge for blind people; to determine how full a cup is usually requires sticking a finger into the beverage. This poses some problems both from a hygiene standpoint and a safety one: fingers are dirty, and hot beverages can scald. 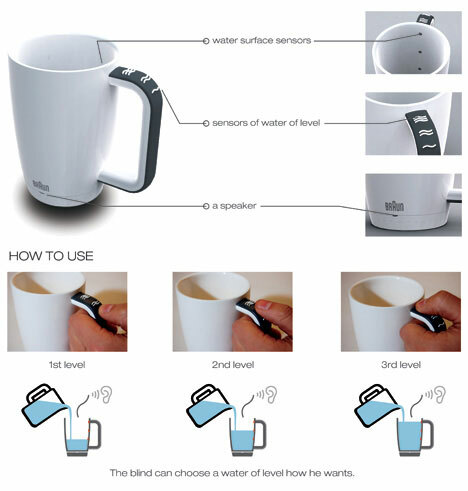 Designers Sang-Hoon Lee and Yong-Bum Lim came up with this clever cup that features interior liquid level sensors and a speaker that announces when the desired level is reached. No poking fingers into the coffee and no inconvenient spills to clean up. Project Bee is an unusual way to guide wearers around their surroundings. 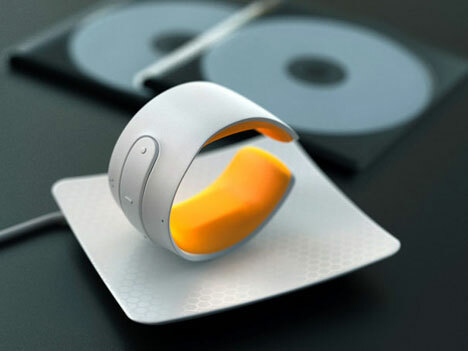 It looks like a fashionable bracelet, but it is actually a clever GPS device that uses audible commands and haptic (touch) signals to guide wearers to their destination. Usable by anyone, not just the visually impaired, the stylish device gives users an alternative to the grating voices programmed into most GPS devices.